Stack the Dice in your Favor -- Donate! 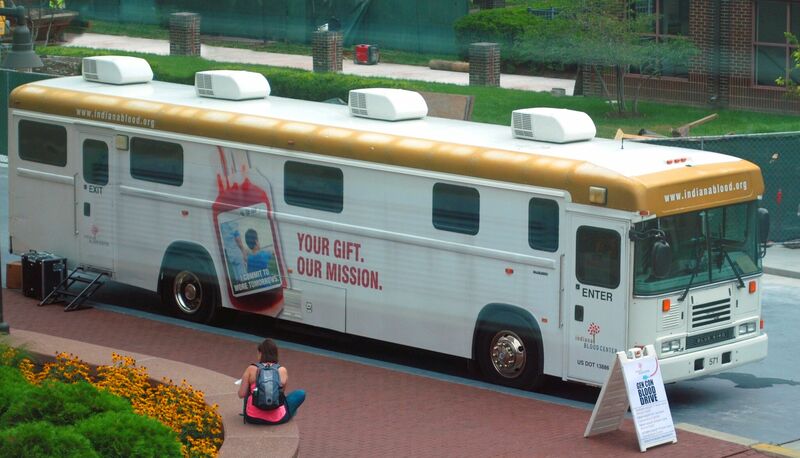 The Blood Mobile is back for its annual Gen Con blood drive with the Indiana Blood Center! It’s a simple thing to do and is the gift of life for those in need. The Blood Mobile will be onsite for three days, Thursday - Saturday. This year, again with the generous support of The Westin Indianapolis, there will be TWO Blood Mobiles on site on both Friday AND Saturday! In 2017, the Indiana Blood Center received 141 units from 131 donations from generous Gen Con attendees. Please try and fit a donation into your Gen Con schedule. Thursday, August 2, 10am to 3pm, just outside The Westin Hotel: Click here to sign up! Friday, August 3, 10am to 3pm, just outside The Westin Hotel: Click here to sign up! Friday, August 3, 11am to 4pm, at the Indiana Convention Center*: Click here to sign up! Saturday, August 4, 11am to 4pm, just outside The Westin Hotel: Click here to sign up! Saturday, August 4, 10am to 3pm, at the Indiana Convention Center*: Click here to sign up! Again, Gen Con expresses thanks to the Westin hotel for hosting the Bloodmobile for three days this year. We appreciate their generous support! Walk-ins are welcome too! You can sign up onsite at the Blood Drive hallway booth located in the Crossroads concourse. Either way you donate, you'll be entered into a drawing for a Gen Con 2019 promo pass. Save a life, AND win a pass? There's no better deal at Gen Con. The donation process takes less than an hour so you'll be back gaming in no time. Having a light snack before donating is recommended. Most people are eligible to donate. There are very few causes for deferral and very few medications that are not acceptable. Not sure if you are eligible to donate? Email Eligibility. The Indiana Blood Center must see 550 individuals each and every day in order to meet the patient needs at the 60+ hospitals it supplies. Your donation helps those in need, what better gift is there?! Thank you.